Based upon the proven GM shape, redesigned for the elite paddler, longer waterline, narrower at footwells to allow for greater upper body rotation, new footwell design for faster starts. Manufactured using Resin Infusion process. 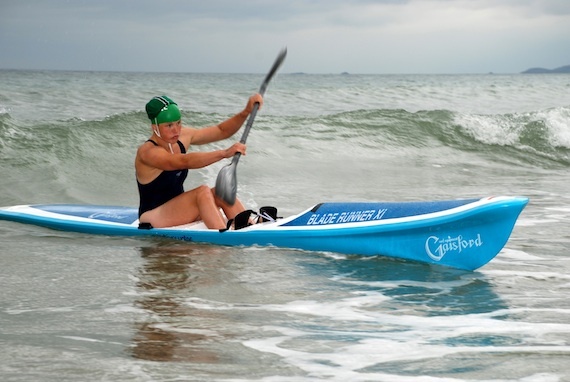 A winning ski for surf events as ridden by Jenna Hawkey aiming for the 2012 Olympics. An adjustable seat to fit the Bladerunner Xi and Bladerunner GM skis can be offered as an option to the standard fixed seat. 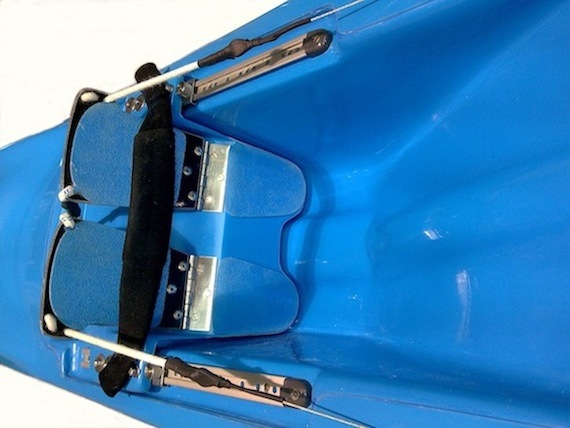 The adjustable system can be added at manufacture to either model of ski. Pedals are mounted on a footplate with anodised aluminium slides and stainless steel easy to move adjustment. Self bailing feature to remove excess water. 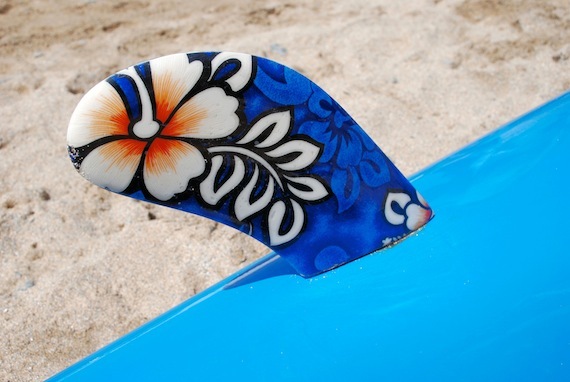 Please contact us for more information on custom orders or design features such as this Hawaiian inlay which can be glassed into the fin or deck. To order a Bladerunner Xi go here. ♦ Width: minimum width at widest point of hull is 480mm and shall not include any rubbing strips, moulding or additional protective mouldings.